Today we will discuss Why and How Search Engine Marketing and Social Media Marketing strategies are important and which strategy is more powerful as compare to each other SEM or SMM?. If someone is doing any kind of online business, there is no doubt that you will have to face heavy competition in the internet, it would be a challenging task for you to promote your product or business in the internet with heavy competition, you can see that millions of people are surfing internet every day and use many online services. It is very common for an internet marketer to promote his business actively in the internet and he always must be updated and provide latest and true information to their clients or customers then he can sustain in the online marketing. He must promote his business online with latest and good strategies. There are two ways to promote a business online one is Search engine Marketing and another one is Social Media Marketing. Both are good and effective ways to promote a business online. There is a latest strategy that is creating more and more of buzz within the online marketing field which is called "social media marketing". 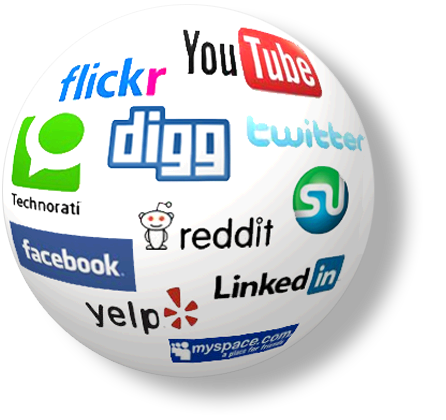 In this source marketer needs to take help of social media sites and there are so many social media sites available in the internet. Before this new strategy “social media marketing” was begun in the market, an effective and initial method was used for promoting businesses online is "search engine marketing", In this method marketer used to take help of search engines to promote any business on internet. Generally customers search in the internet for a particular product or any service in when they need of that particular product or they have internet on that particular product. Generally internet users search about any product based on a particular search phrase in the search engines, an internet marketer can easily know the purpose of the customer and this really helps in understanding and identifying the relevant keywords and according to keyword popularity internet marketers creates strategies to promote the business. When an internet user searches for any particular information or any product or service, search engines provide most relevant web results to the query on the top of the SERP means search engine results pages. Relevancy does matter in this way. Generally search engines show most relevant website on top of the search result pages. Most of the internet users focus on the top results which come on top search engine results page. Social media is the platform which enables the direct communication with the customers, users, and companies about the particular product or services. Social Media Marketer needs to maintain the credibility of his users in the social networking websites. This is one of the best tools to know and understand the customer opinions as well as customer’s feedback, and also to keep in touch with the customers. In this source, it is very simple and easy to gain a negative brand image. For example, unfortunately if a person already had poor experience with any particular product or services with any particular organization, he can easily express and share his opinion, feedback with all other group members in a negative tone. This can be very harmful for any particular business. Summary: This article is all about the comparison between Search Engine Marketing and Social Media Marketing. There are so many differences between both strategies but you the only way to get most of from these two marketing strategies is to prepare your plan according to your website business, product or services.